When things go wrong in space, they go very, very wrong. A loose bolt, a jammed button, or a tiny piece of flying debris can easily spell the end for human beings in orbit. NASA and its international counterparts train their astronauts as best they can to handle every possible scenario, but space doesn’t always cooperate. If the thought of near-death encounters in the black appeals to you, you might want to check out the Science Channel show Secret Space Escapes, which invites astronauts and their colleagues to recount their most harrowing space disasters. Scott Parazynski is no stranger to dangerous situations and extreme environments. The astronaut/doctor/inventor/pilot has summited Mount Everest and gone SCUBA diving in a volcano. But it’s his last spacewalk that sticks in his mind. 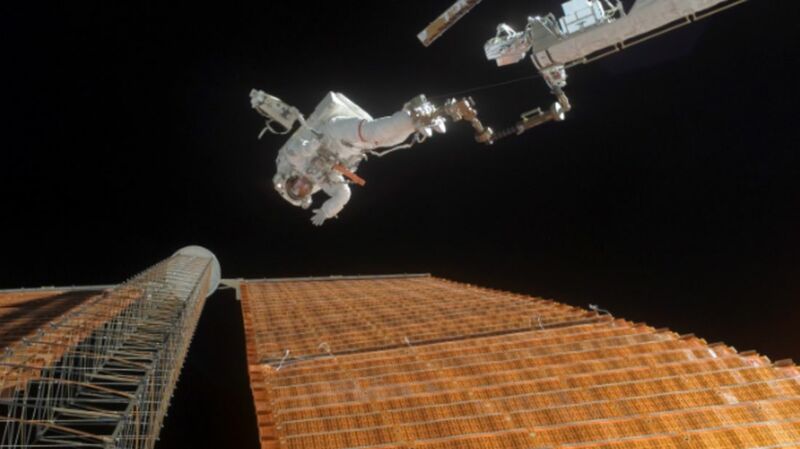 Parazynski was up on the International Space Station in 2007 when a hole appeared in one of the station’s electrified solar panels. “As this thing was being unfurled, it began to rip apart,” he tells mental_floss. “So we had to go and physically repair a live, fully energized solar panel.” It was a dangerous mission, but the crew didn’t really have a choice. Soyeon Yi has the distinction of being South Korea’s first—and, to date, only—astronaut. The engineer participated in a 10-day flight in 2008, during which she conducted experiments aboard the International Space Station. Yi was set to return to earth with seasoned space travelers Yuri Malenchenko and Peggy Whitson. Just before re-entry into the atmosphere, their vessel malfunctioned and sent them hurtling toward the planet’s surface. Yi and her colleagues had only moments to figure out what to do, even as gravity compressed their bodies like grapes in a wine press. To find out how Parazynski, Yi, and their colleagues faced these challenges, watch the season finale of Secret Space Escapes tomorrow at 10 p.m. on the Science Channel. Want to talk to Scott Parazynski? He'll be answering space questions in a special Facebook chat at 2:30 ET today (January 12).